It is great fun and satisfying to take an older piece of furniture and revamp it. 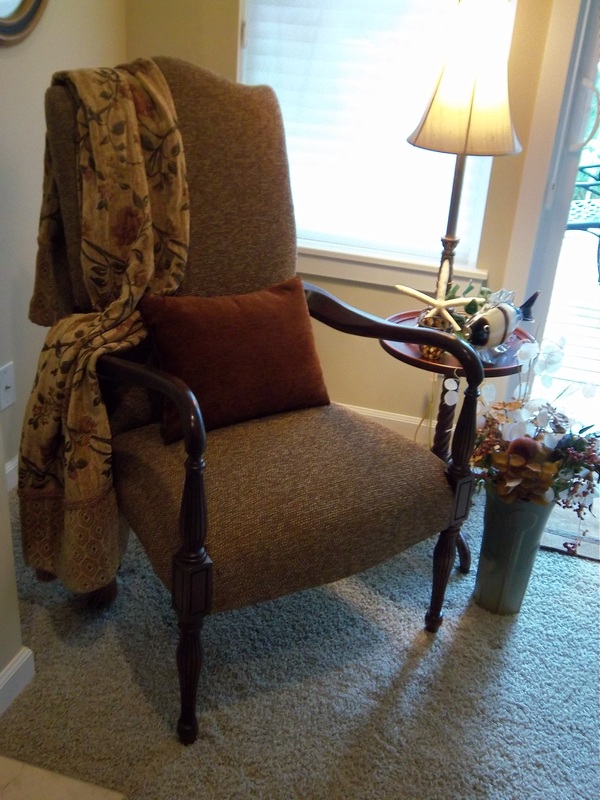 I have an older traditional chair that had been used in a model home. After taking a look at it, the old blue flamestitch fabric just did not look very stylish anymore and it would definitely clash in our home. We have a mix of modern and traditional in our home so I selected a casual texture, something you would normally see on a recliner and put it on this traditional frame. The result was an interesting mix of contemporary and classic.